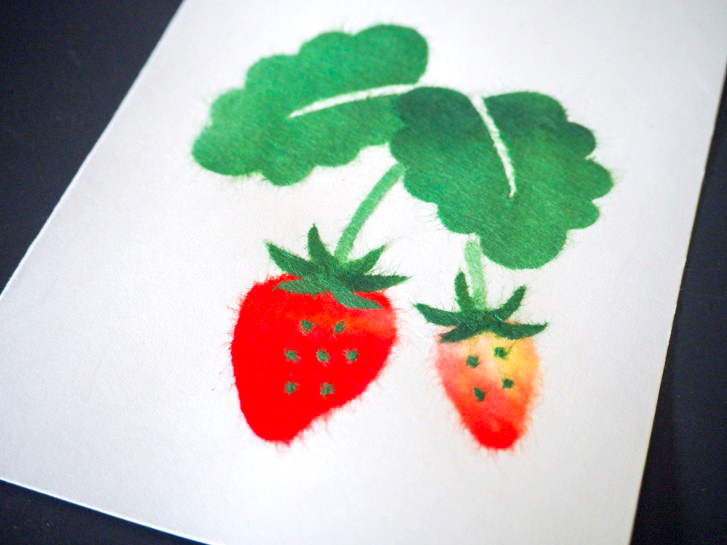 Come try traditional Japanese-style paper collage, Chigiri-e. You will have a chance to create a fun “Strawberries” motif for free with our Chigiri-e instructor. We will also have a Chigiri-e information booth where you can learn what Chigiri-e is and how they are made. What is Chigiri-e? // ちぎり絵とは? Chigiri-e is a Japanese-style paper collage in which torn Washi paper is used to create beautiful collage images resembling a water color painting.